River Greens Cul-De-Sac lot! Sitting by the confluence of the Rio Grande and the South Fork of the Rio Grande, this is one of the best locations in South Fork, CO. 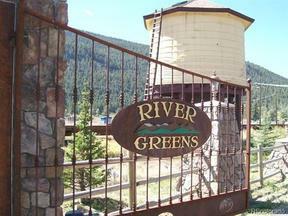 Private access to the Rio Grande, golf, Wolf Creek, so much more. Golf and Fishing memberships available.